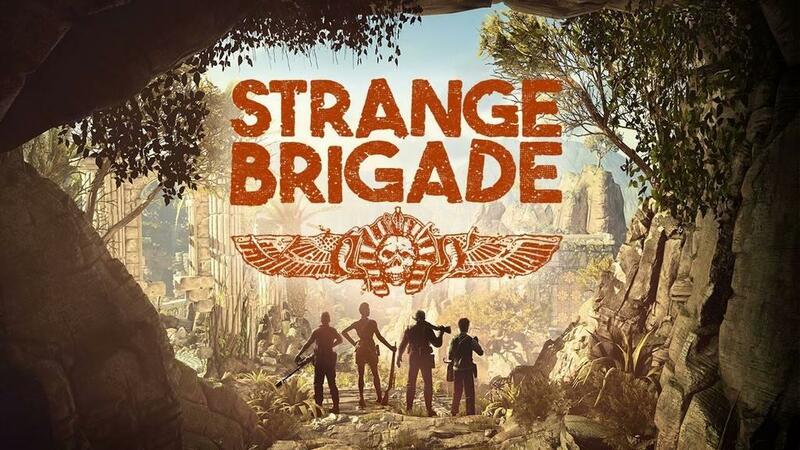 Those rapscallions at Rebellion, those devilish developers of gregarious games involving surreptitious snipers and unruly undead, have conspired to create Strange Brigade! – a crackling corker of enticing entertainment, boisterous battles, skulking, slimy skeletons and danger defying demonstrations of derring-do! Okay. Done with that. Maintaining that British boilerplate 1930’s adventure cadence through an entire review would be exhausting. But I do need to give credit to Strange Brigade’s writing team, who manage to keep fresh one liners and excited narration flowing through the game’s approximately nine hour campaign. While many games have attempted to capture the look, feel, and mood of 30s’ serials, none has ever come closer to replicating such pulpy entertainment than Strange Brigade. While I recently posted that Strange Brigade looked like “the greatest videogame ever made”, I now concede that I might have been a little over-excited by the trailers. However, the trailers that got me excited about Strange Brigade did a great job of communicating the themes of the game; the game truly delivers on the promise of those first glimpses. 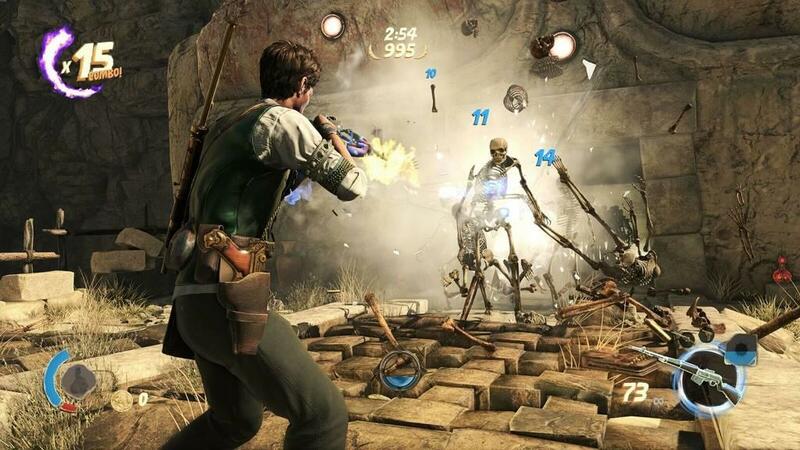 From the ever-escalating battles with pulpy pseudo-Egyptian supernatural beings to the Indiana Jones-esque romps through dank, trap-laden caves, Strange Brigade goes all in on its old-timey adventure motif, and this serves to elevate what could have been a standard multiplayer shooter into something that feels fresh and unique. Strange Brigade gets so many things right. Consider, for example, the cast of characters. Gracie Braithwaite – the Rosie the Riveter in waiting, a melee thumper with a mean uppercut. Frank Fairburne, the seasoned adventurer, a bruiser with extra health that knows his way around weaponry. Professor Archimedes De Quincy - a scholar who is light on his feet and has a penchant for locating hidden secrets. And Nalangu Rushida – a Kenyan warrior defending the human race against evil with her freeze powers and her lightning fast trigger finger (Nalangu is teetering on the edge of offensive stereotype, but she actually comes off pretty well, so I think we have all agreed to let this one slide). Players can choose any of these characters to run solo through the campaign, which I did for a while in an attempt to get my feet wet and learn the game’s layout and puzzle structure. Before long though, I was throwing open the doors to the online masses, inviting strangers into my game to party. 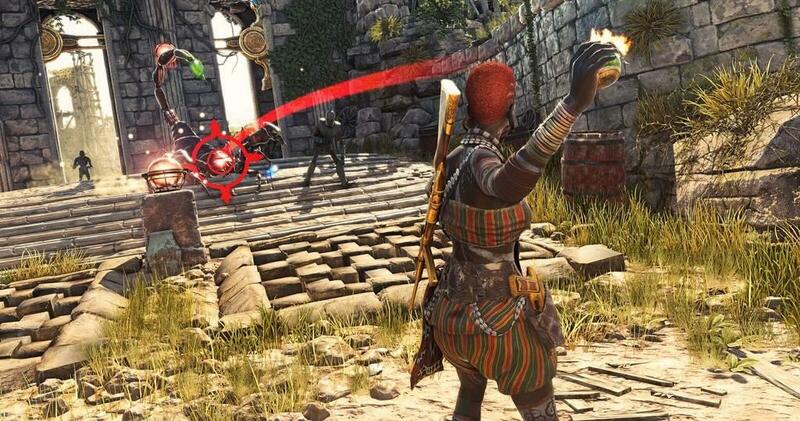 Strange Brigade is a game intended to be played by groups of four, and things get much more manageable when you are attacking them with a team. 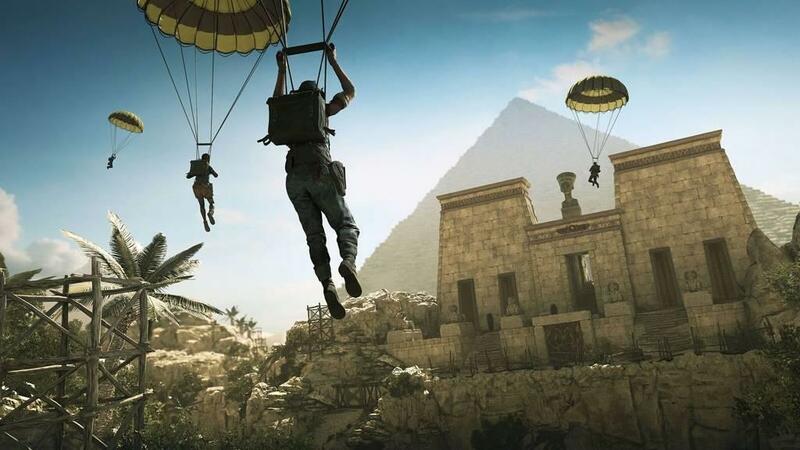 The main structure of Strange Brigade will feel familiar to anyone that has played a team shooter. There are no advanced tactics needed (though it does help), so if you don’t want to communicate with the folks you have allowed into your instance, you can ignore them. Everyone is pretty much free to run around doing whatever they want, but the game does provide organic chokepoints that force all players to regroup on occasion in order to progress. This is advisable, as the boss fights that come at the end of each of the nine chapters are much easier when taken on as a group. While I sometimes went into these boss battles with scattered pick up groups, I also fought a few of them with coordinated groups that were chatty and communicative. Both types of group eventually prevailed, but the folks that were actually trying to function as a team were able to overcome the challenge in a much less messy manner. The bulk of the game, though, allows players to wander off wherever they would like, seeking treasure and overcoming puzzles. Environments are sprawling, with puzzles embedded around every corner. Solving puzzles is sometimes required to move forward in the level, but just as often puzzles lead to hidden areas with treasures and power ups. In multiplayer, treasures are first come, first serve. For this reason, I typically played online as Archimedes, as he has the innate ability to discover certain secrets and hidden areas. Since I am always the pokey puppy lingering in areas long after everyone else has run ahead, this allowed me to still come out of levels with my fair share of treasure after my “teammates” had scoured an area like locusts. The puzzles themselves are not overly difficult, and can usually be solve in a matter of moments by simply looking around for clues. No one wants to slow down the running and shooting for too long for things like “thinking” and “being stumped”. The puzzles often consist of things like “shoot these targets in order”, or “flip these panels until the pipe lines up”, or “everybody gather together here and click the same button”. While the triggers that open doors, slide levers, and remove barriers vary in complexity, they never slowed down play. Indeed, a few days after the game’s release, people I was playing with were so familiar with the puzzles that they were solving them faster than I could keep up. I would enter an area to find all the puzzles solved, and the rest of the team engaged in battle. Pokey puppy syndrome strikes again. I eventually went back to these levels solo, just so I could have the experience of solving the puzzles and understanding Strange Brigade’s layout for review. Wandering the levels alone at my leisure was indeed a pleasure, as Strange Brigade is a very good looking game. The environments are beautifully created, and the framerate never slowed once for me no matter how many explosions and special effects were lighting up the screen (I played on a standard PS4). One note of advice on the visuals: I typically ignore the instructions on Brightness settings at the beginning of a game, opting to crank the “barely visible” symbol to the point where a blind person could see it. Don’t do that with Strange Brigade. The sun-drenched hills and desert valleys will look washed out if the brightness is too high. Each of the four characters (a fifth can be unlocked) comes with a default loadout, but weaponry benches are scattered liberally around the landscape that allow you to switch your weapons out with anything you have unlocked. Weapons can also be upgraded at these benches with various gems that you find hidden in the Egyptian caves. These offer all sorts of bonuses to your standard weapon (freeze, enhanced headshot, stuff like that). Gems carry across characters, so you don’t lose much by deciding to try out a different character. In addition to the standard weapons, ultra-powerful temporary weapons can be discovered and wielded for a few minutes. These temporary weapons are a great deal of fun, basically rendering your character invincible for a short period of time while they run around mopping up giant groups of baddies. In addition to traditional weaponry, Strange Brigade members are each equipped with a powerful amulet. As you kill bad guys, they leave “soul” traces floating around in the air. Running through these souls charges your amulet. Once charged, the amulet allows you to throw a powerful special move. Each character has four specials to unlock, but even the default feels powerful. Archimedes, for example, starts with a “creeping death” sort of special, an effect that slinks along the ground, seeking out nearby enemies and destroying them. Very fun to toss into a crowd. Later, he gains the ability to turn enemies into chickens, or fire lightning bolts into gatherings of bad guys, which is equally satisfying. Each character has equally interesting and fun specials, but they mostly all boil down to “kill a large group quickly”, which is always pleasurable. Everything in the game eventually centers around the amusing core mechanic, which is best described as “murder, murder, murder the undead”. Weapons, enhancements, amulets, puzzles, the whole enchilada all comes together nicely when you are wading through masses of bad guys, dispatching them with good wit and aplomb. In addition to all of the other ways to dispatch enemies, environmental traps are sprinkled through the environment. It is greatly gratifying to lure lurking lumps of shambling skeletons into the whirling, blazing blades of a horizontal fan, watching in appreciative anticipation as they meander into the murderous mandibles and are severed limb from limb. But that is the point. Strange Brigade delivers on a light sort of catchy entertainment, getting under your skin with its cheerful sense of adventure and popcorn sensibilities. There is nothing wrong with playing a game for pure entertainment. That’s how video games got started, of course. And pure entertainment is exactly what Strange Brigade delivers. Sure, its not the greatest videogame ever made. 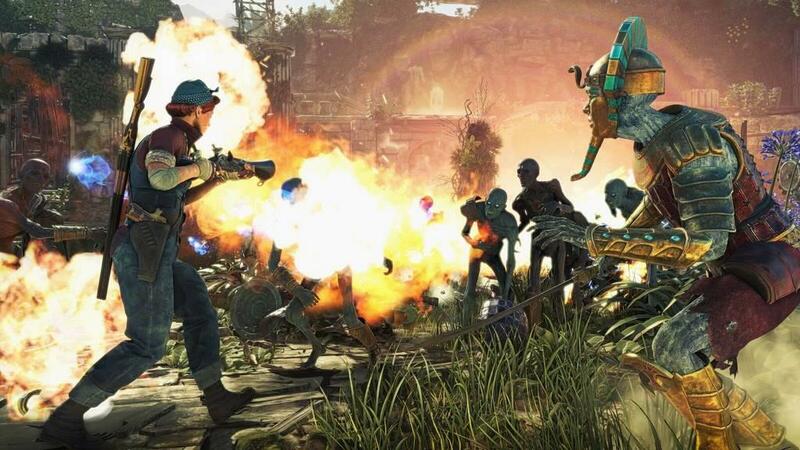 But in the moment, when you are swashbuckling through a horde of the undead like Allan Quatermain with a group of strangers, Strange Brigade doesn’t need to be the greatest videogame ever made. It is wildly enjoyable, and that is all it needs to be. 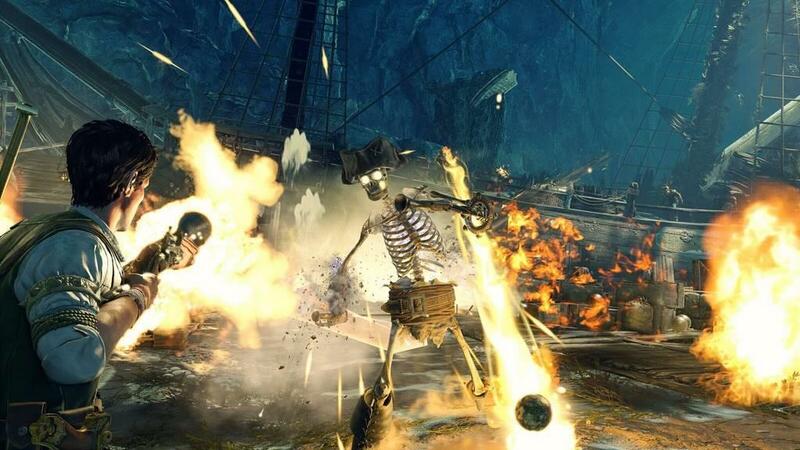 Strange Brigade is a rollicking good time, allowing teams of four to take on armies of the undead in a solid approximation of a 1930’s serial film. There are tons of mechanics to play with and puzzles to solve, but in the end, this is a fun, fast-paced shooter with awesome graphics and enjoyable multiplayer. There was no need for Strange Brigade to try to be anything more, it is plenty great as it is.